Not a full review today (some coming up soon though! ), but just a tip about some great streetfood in Soho. Berwick Street Market is one of London's many markets, smaller than most but just as good, if not better. There's some really good food stands here and when walking past Savage Salads there's the incredible smell of grilled chicken with thyme. It went straight on my London-to-eat list and today I finally got to try it out. It's so good, no wonder this stand has the longest queue, just look at this! 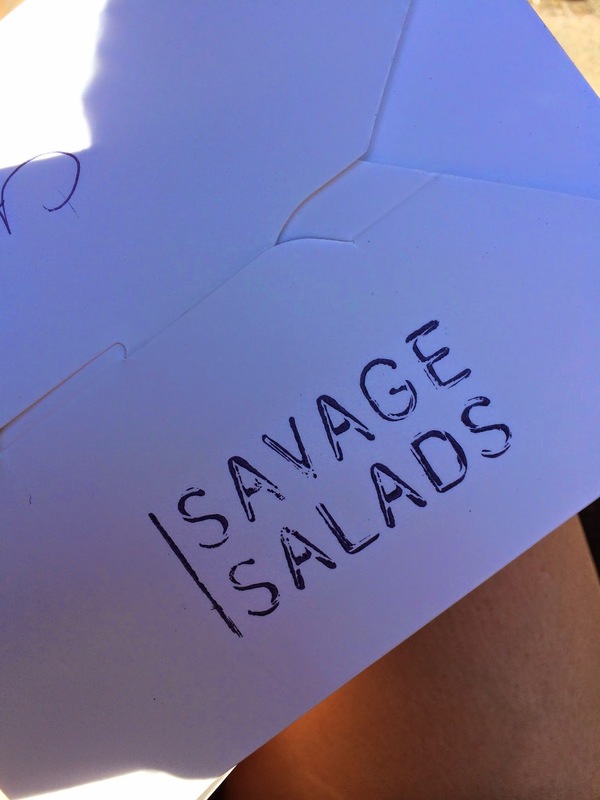 Savage Salads makes lunch boxes filled with 4 different salads, grilled halloumi and/or grilled chicken and some grilled pita bread for just £5. I believe the salads change by the day/season and everything was so tasty and fresh. Some of the best street food I've had in London. The concept of different salads is kind of comparable to The Detox Kitchen, but this is even better in my opinion, also cheaper.